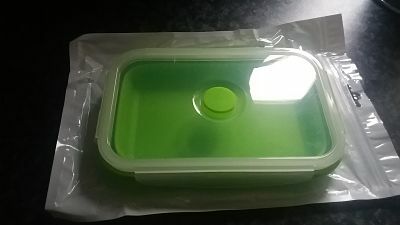 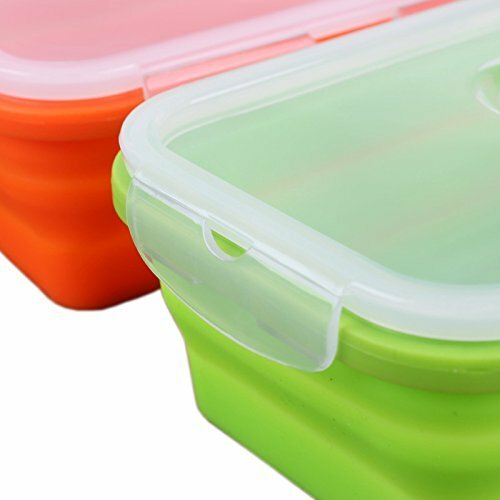 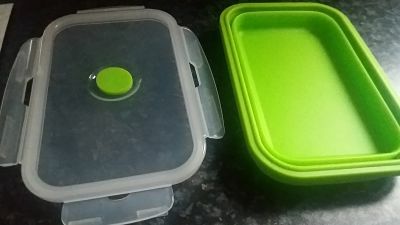 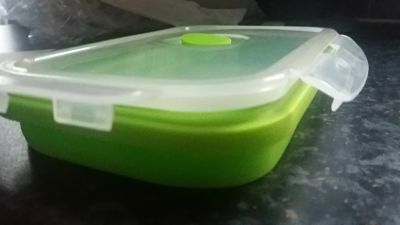 I love this idea and its come so handy for us already this lunch box /collapsible food storage container, is a Silicone and foldable with a lockable lid . 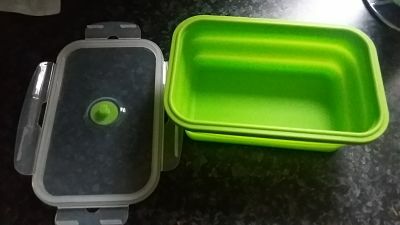 this not only Portable but compressible too , saving you storage space in your cupboards when not in use but also in your bag . 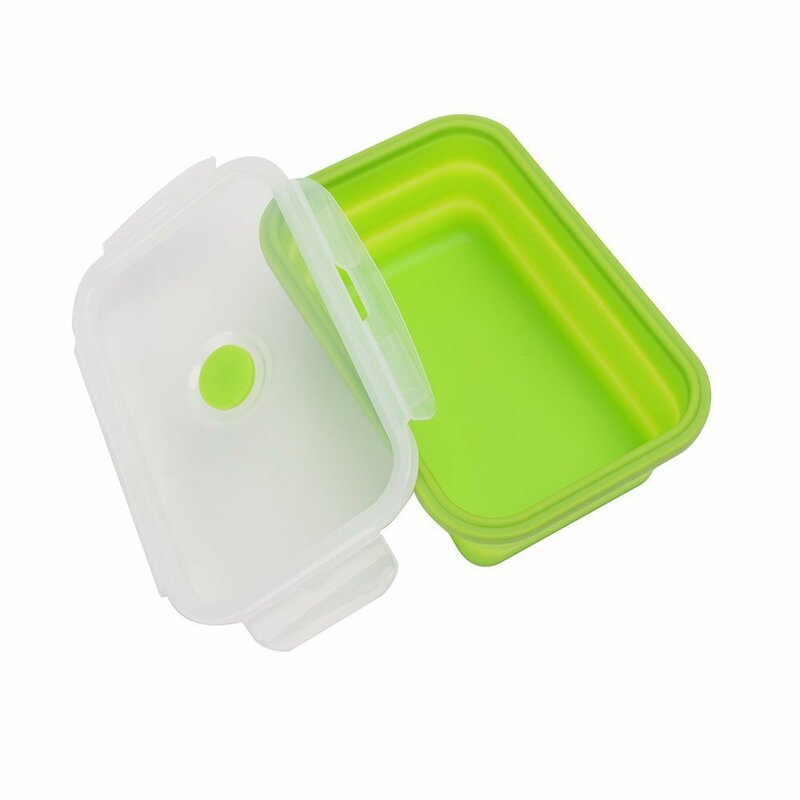 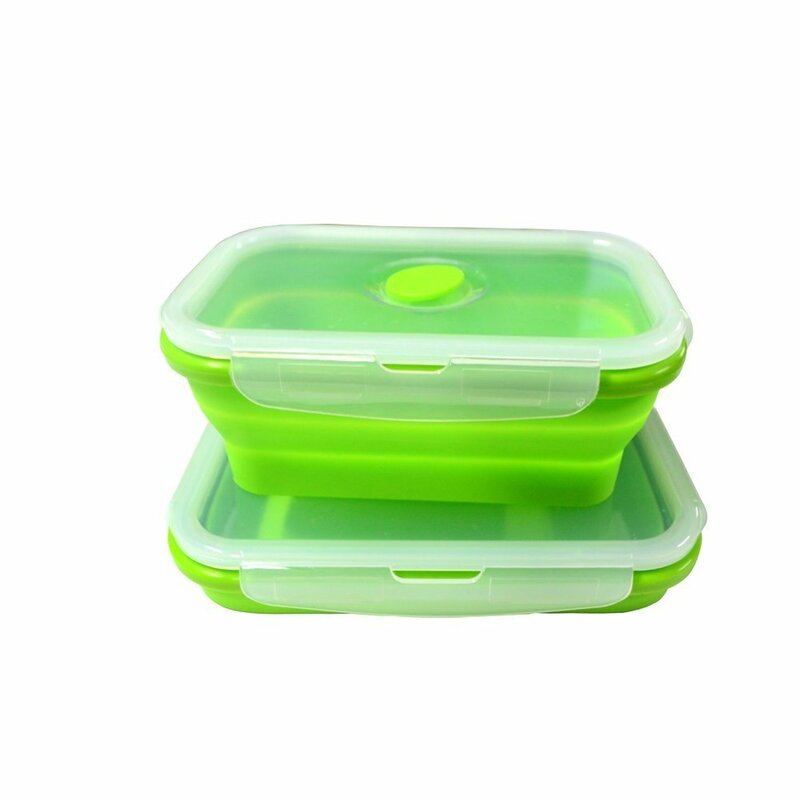 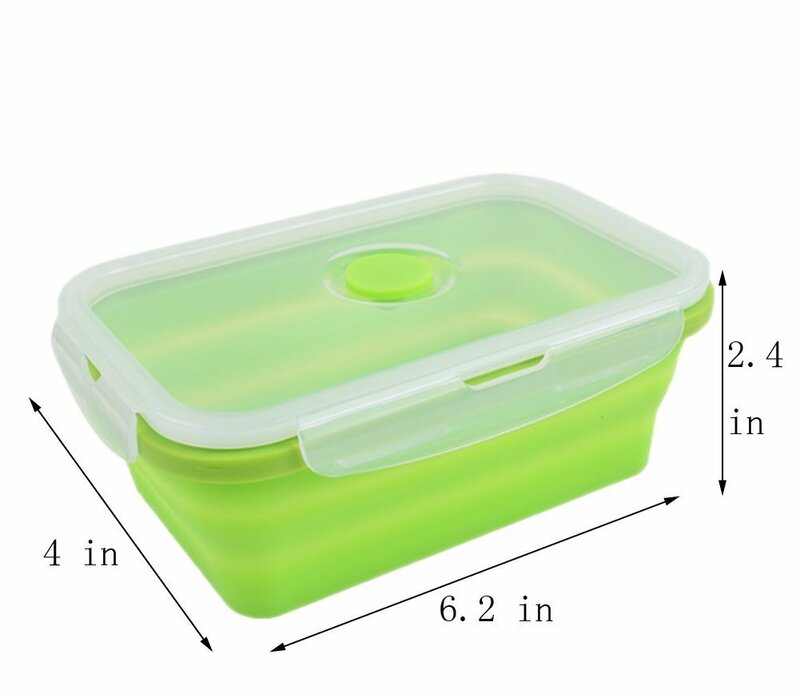 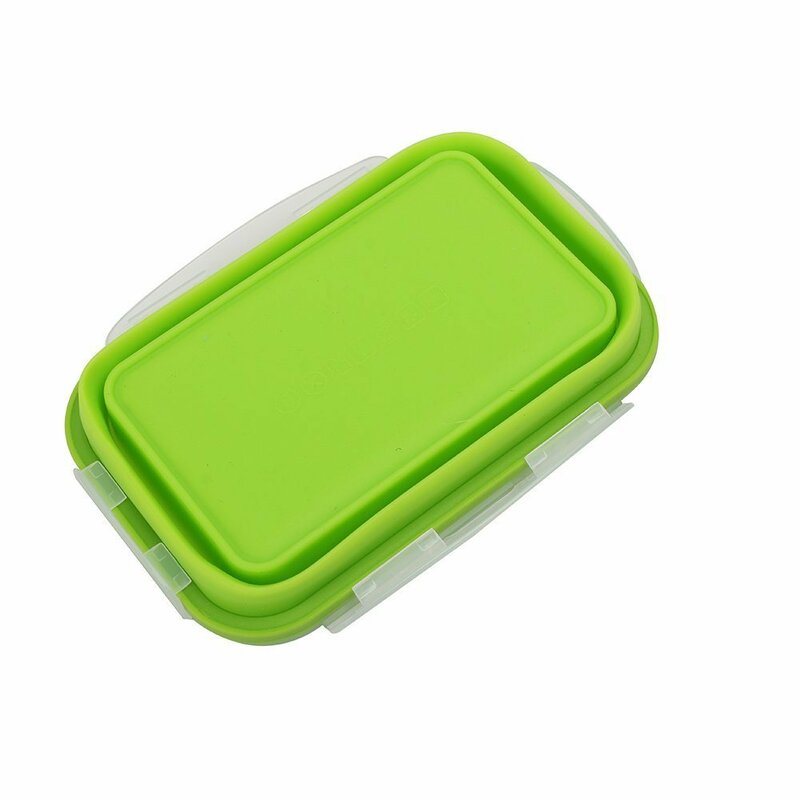 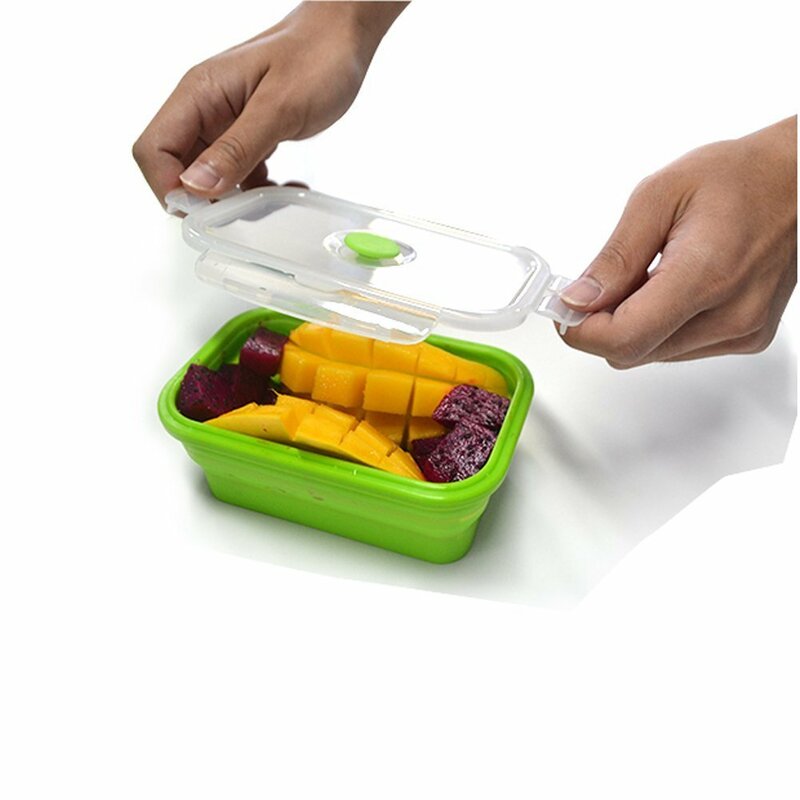 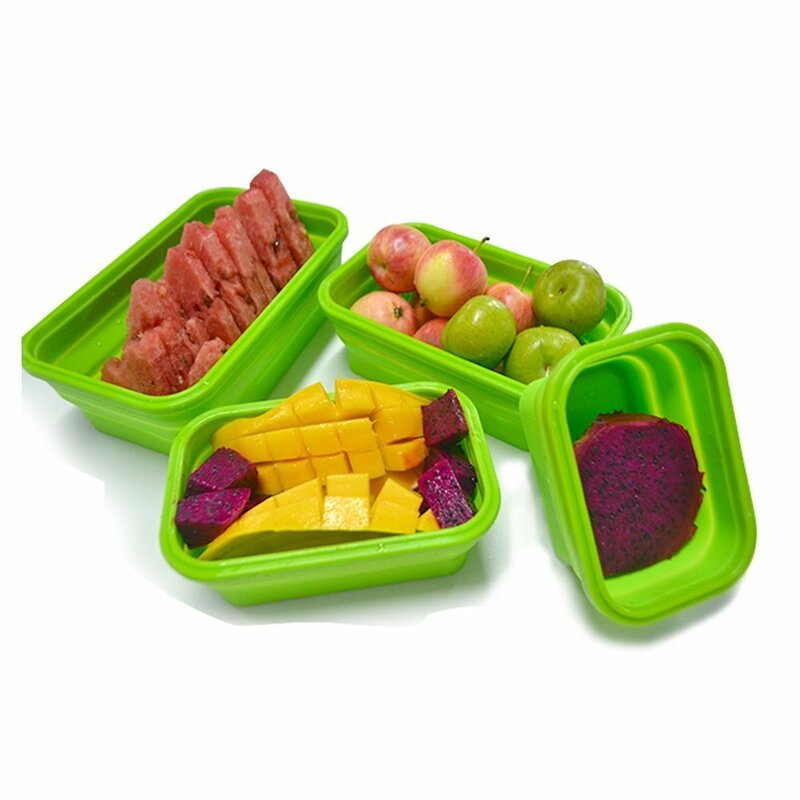 Made from 100% food grade silicone , safe for the microwave dishwasher and freezer , the capacity is 750ml in green .